PORTSMOUTH, NEW HAMPSHIRE, USA – January 9, 2018 – The Micronics Engineered Filtration Group announces that Vlamir Fernandes is joining the Micronics Engineered Filtration Group (Micronics Filtration Holdings, Inc.) as Vice President of Sales, South and Central America. Mr. Fernandes is a veteran filtration industry executive with more than 15 years of experience at companies including Pall Corporation, Filter Specialists, Inc. (FSI), and Eaton Filtration (Hayward Industries). 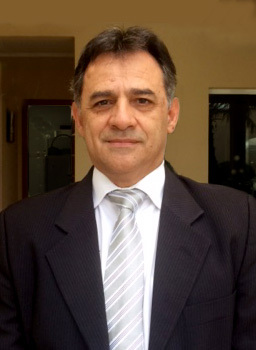 Mr. Fernandes has a degree in Mechanical Engineering from Universidade de Taubaté in São Paulo, Brazil. Mr. Fernandes will provide leadership for all of Micronics’ sales and strategic development activities throughout South America, Central America, and Mexico. He will be physically based in Sao Paulo, Brazil and is fluent in English, Spanish, and Portuguese. He succeeds Tim Miller, who left the Company in December after many years of service to pursue other opportunities. “We are pleased to welcome Vlamir Fernandes to this extremely important executive sales leadership role for the Micronics Engineered Filtration Group. I have had the opportunity to work closely with Vlamir in past leadership roles and I am confident that his results-driven leadership skills and style are an excellent fit for driving the next chapter of Micronics’ sales growth in this important geographic region,” stated Mr. Bernard C. Faulkner, President and Chief Executive Officer, Micronics Engineered Filtration Group. “We believe that his hands-on skills, track record of successfully leading and motivating teams, technical background, and strong multi-lingual fluency are all important assets and we are excited for Mr. Fernandes to get to know and provide solutions for customers’ growing filtration needs in the region,” Mr. Faulkner added. Incorporated in 1983 and founded by Barry Hibble, Micronics has been a portfolio company of Vance Street Capital, a Los Angeles-based private equity firm, since 2013. In late 2014, Micronics expanded into dry filtration and air pollution control products and services with the acquisition of Southern Filter Media (SFM). C.P. Environmental (CPE), United Process Control (UPC), and AeroPulse joined the Micronics Engineered Filtration Group in 2015. To learn more, visit us at Micronics’ websites: Micronics, Inc., Southern Filter Media, C.P. Environmental, and United Process Control. We are committed to our customers’ success.